Traveling with a cat can be extremely challenging if you are not properly equipped. Cats, in general, are fussy travelers and often let their frustration known by bellowing out loud when they are inside a crate or a carrier. The only real way to keep your cat happy and calm when out on the road is to make things as comfortable as you possibly can. Start off by purchasing a high-quality cat carrier that has enough space for the cat to stand up and change positions. You should also consider lining the inner wall of the carrier with soft cotton fabric to create a cushiony bed for the pet. When looking for a cat kennel you should always look at the inner dimension and make sure it's manufactured by a reputed company. You should also ensure that the cat cage you buy meets the Airline standards, in case you need to travel long distances with your pet. 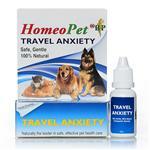 At PetCareRx, we feature a great selection of travel accessories for cats. 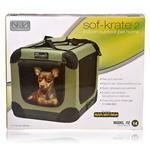 Find everything from plastic carriers to flexible bags with wheels to carry your pet in style and comfort. Apart from buying a good crate, we also suggest you to spend some time training your cat before the travel date.